Due to the strong androgenic effect and the lack of conversion into estrogen Trenbolone Hexahydrobenzylcarbonat is particularly used during the diet and the competition preparation. 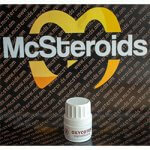 Trenbolone Hexahydrobenzylcarbonate (Para) is an extremely potent all-purpose steroid. Para can not convert to estrogen, mind therefore the user has no problems with estrogen-typical side effects. 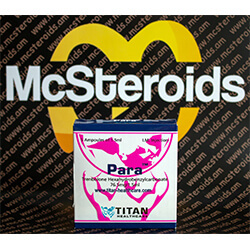 Para is a popular diet and competition steroid. Even with harsh diets muscle quality is improved by Parabolan. 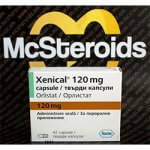 Parabolic is almost always combined with other competition propionate steroids such as stanozolol, mind and testosterone. By parabolic, viagra the user can increase his androgen to estrogen without fear effects that usually do. Thus, the muscles with low fat looks much more vivid and full. Also profitable is the pronounced anti-catabolic effect. Trenbolone blocks the conversion of cortisone into cortisol effectively stronger and also prevents the Restkortisol to dock to the corresponding receptors, which makes this completely incapacitating. This effect is so pronounced that even the toughest competition diets usually can be pulled through without much muscle loss. Due to the hindrance of the effect of cortisol, the body force is maintained or often increases even further. 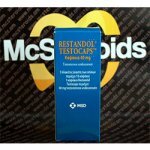 As an all-steroid, Parabolan must be used not necessarily as a diet or competition steroid.  Many athletes use it to build rock hard muscle. It does not happen due to lack of estrogen effect to any large water storages, but it has a slow and long-term impact in terms of quality muscle. In periods of positive calorie balance Parabolan is not only anti-catabolic, but thanks to its intense effect on the endogenous peptide hormone “IGF-1” also strongly anabolic. Due to the effect of progesterone may possibly come to the swelling of the mammary glands. This can be counteracted by bromocriptine. Tamoxifen or aromatase inhibitors are ineffective in the case of trenbolone. Trenbolone Hexahydrobenzylcarbonate should be at least twice better injected every other day to build a reasonably uniform drug levels in the blood. 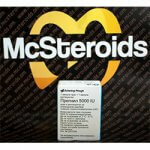 For beginners, all trenbolone varieties are not suitable. 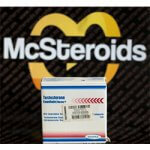 Advanced athletes use 76mg Parabolan every to every other day. 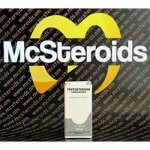 Weitfortgeschritte athletes strive for the competitions, double the dose to 152mg every to every other day.